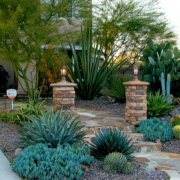 Allen & Rose decided to re-landscape their high water-use tropical garden. 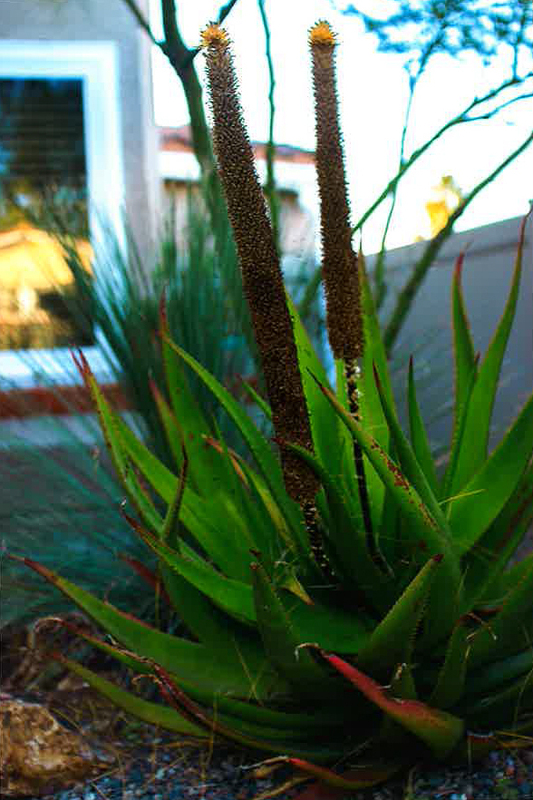 They removed grass and a half a dozen Queen Palms and King Palms from their front yard. 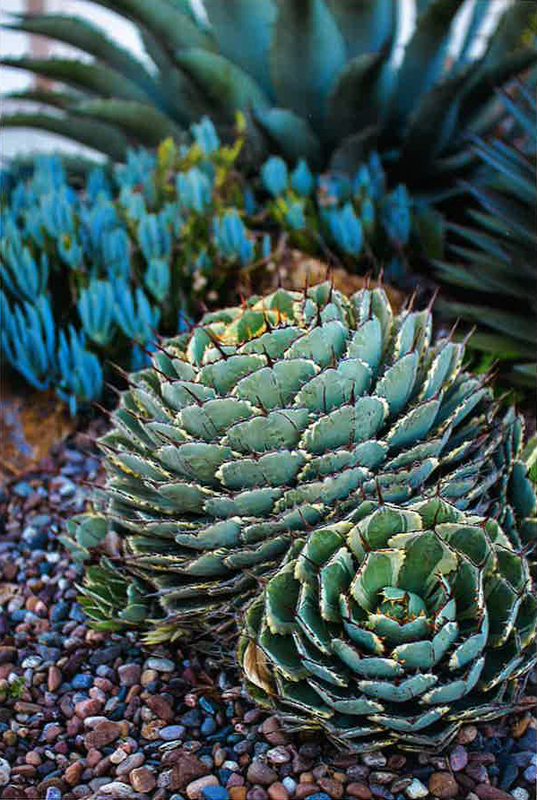 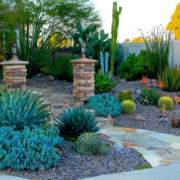 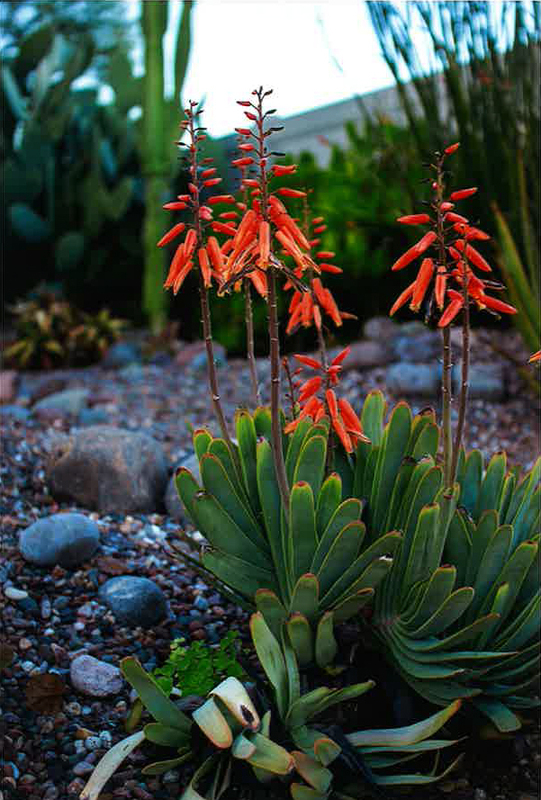 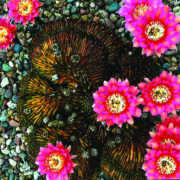 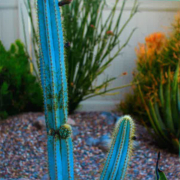 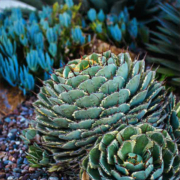 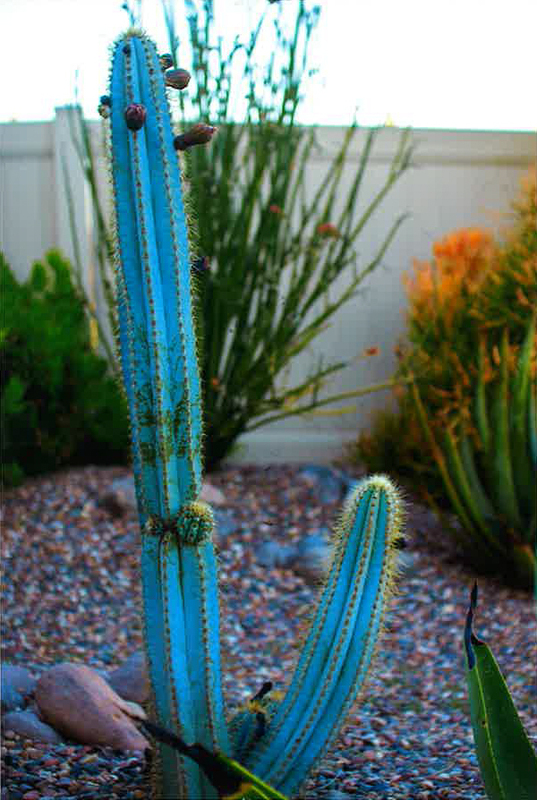 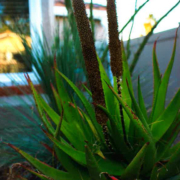 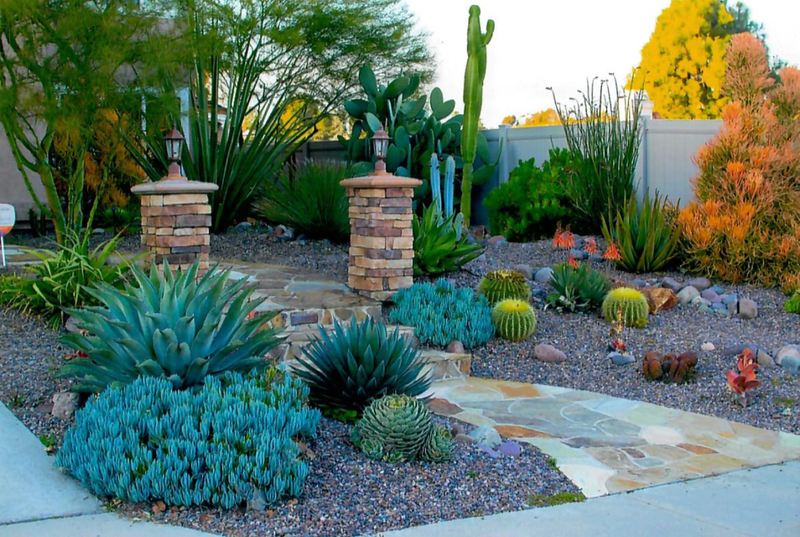 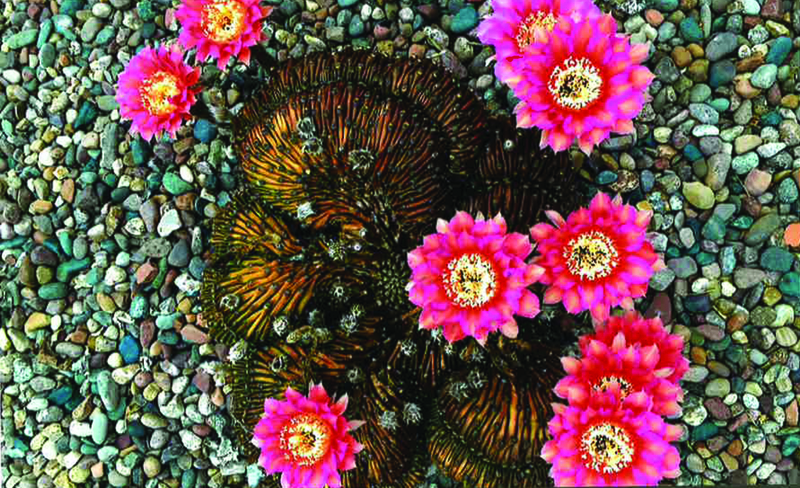 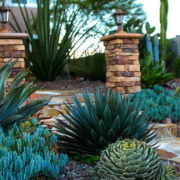 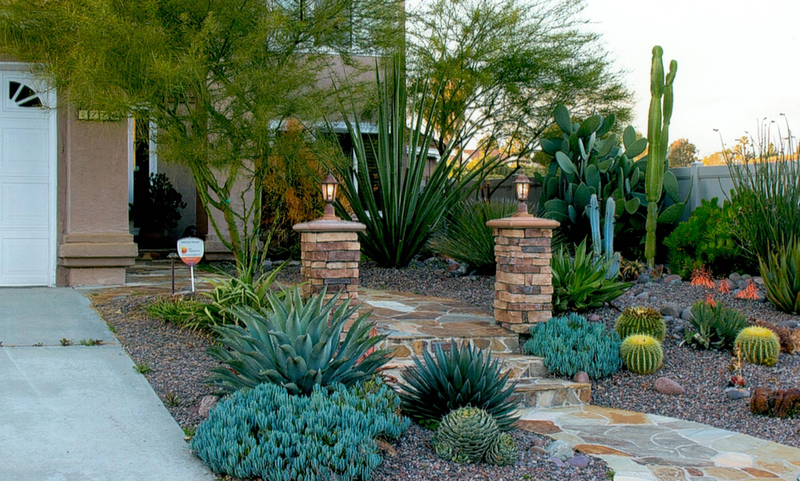 With the help of a landscaping contractor, they designed a natural desert-scape theme with vibrant, colorful water-wise plants. 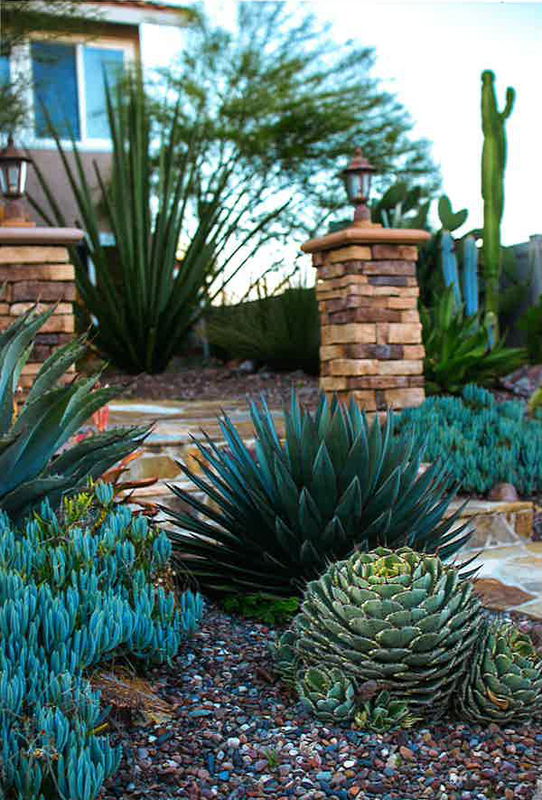 In addition to their non-thirsty and low-maintenance plant palette, the Allen & Rose installed a weed barrier, gravel, and boulders. 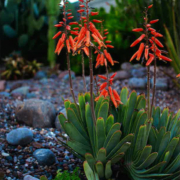 They also replaced the sprinkler system with a drip system, to water the plants once a month for 15 minutes in the summer and during unscheduled times in the winter depending on weather conditions.